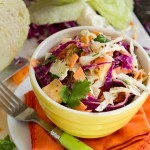 A quick, light and easy summer coleslaw recipe made with creamy curry mayo and chunks of fresh pineapple. Add curry mayonnaise ingredients to the bowl of your food processor or blender. Blend until smooth and set aside. 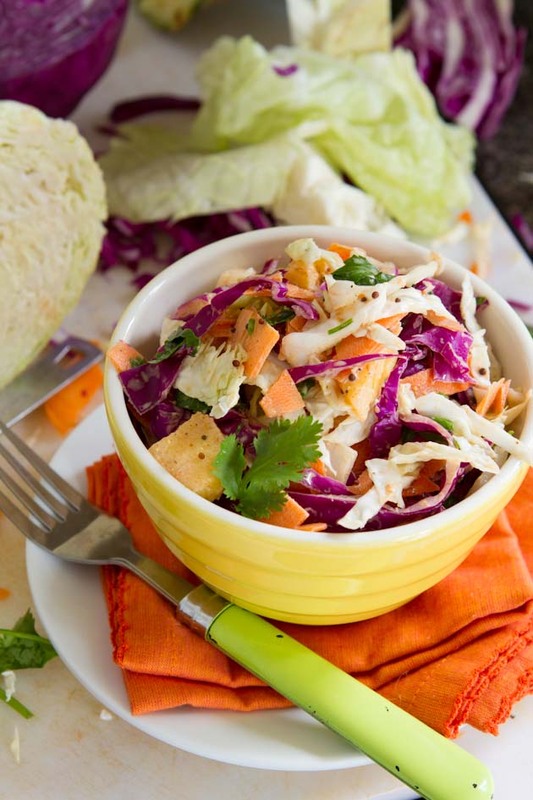 Add all coleslaw ingredients to a large bowl. Drizzle with mayonnaise, stir to coat, and serve immediately or store in the fridge, covered, to chill for a couple of hours. To make vegan: replace egg yolks with additional 3 tablespoons of oil. To make nut-free: replace macadamia oil with extra-virgin olive oil. To boost the protein: add sprouted beans, cooked chickpeas or cubes of firm tofu. To reduce fat: replace some of the oil with water.